The Kaltura Player leads the industry in flexibility, ease of customization, plug-in offerings and loading speed. 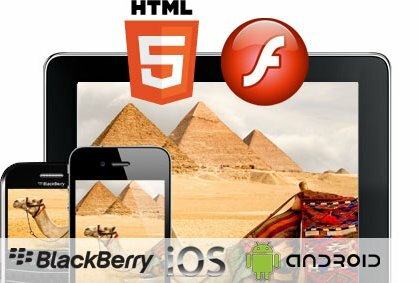 Every feature is supported for both both HTML5 and Flash with the same configuration, bringing unparalleled ease of feature integration across platforms. We invite to explore the vast feature set of the Kaltura Player on your Tablets and Mobile Devices, and use the HTML5 / Flash player switch tool present on almost all feature pages. Note this site does not represent every feature available for the Kalura player. 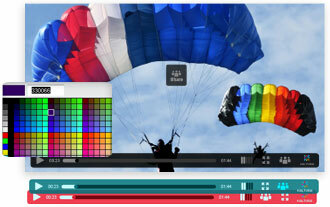 Our HTML5 video library provides you with the most advanced mobile delivery technology stack available today. Our smart-player technology delivers the right player, stream, and advertising to the right device anywhere, with just a single embed code. You can extend the functionality of both Flash and HTML5 players with our Unified development API. Check out the detailed feature chart for what features are supported in what platforms. This means you get best in class performance of all your features, with out the delays in traditional feature rich player build out. Kalturas flexible player platform integrates with all the major Ad networks and Analytics providers. Kaltura supports a wide range of video ad formats including VAST 3.0, and integrated plugins for numerous video ad networks, such as Google DoubleClick DFP, FreeWheel, Ad Tech, Eye Wonder, AdapTV, Tremor Video and more. This enables you to target viewers with ads on VOD or live videos, across multiple devices including mobile, PC’s, and set-top-boxes. Every Kaltura account includes analytics fully integrated into the Kaltura platform. Additionally Kaltura supports integrations with numerous analytics providers such as Google Analytics, Nielsen Video Census, Nielsen Combined, Comscore and Omniture SiteCatalyst 15. You can easily create customized cross browser/cross device players in the Kaltura player Studio from a variety of great looking, light-weight video player templates. More technical users can leverage the player APIs, or even modify the fully open source framework directly. See the player developer resources section. The KDP can be modified with the Studio, with the UIconf or with the API. See examples of how our customers have themselves (or in collaboration with Kaltura) made their player unique to their brand and business. This white paper offers a unique way of looking at your online video strategy. The strategy is usually comprised of many parts: content, branding, monetization, user engagement, social capabilities etc. In this paper we take a look at all these strategic elements through the lens of the player experience. If you are able to present a powerful video player that is both feature-rich and quick to load and respond -- you are going to be successful. Think of the player as a brick-and-mortar store: beautiful glass storefront with a well-branded skin, convenient buttons and a beautiful thumbnail will help lure the viewers. Once they click "Play" it is like they walked inside. This is where the player's technology lights up to deliver a smooth video experience that will impress users regardless of their location or device. The player capabilities should inspire the user to take action, based on the strategy goals: watch more videos, click on ads, answer an interactive survey, upload UGC content or share your content with the world. If done correctly, the player will be the incarnation of your video strategy. In this whitepaper we will discuss the crucial questions to ask when looking for the right video platform to build that player.